Govt Scraps Levy On Sending Money In Latest Changes and Retains OTT tax. HomeBusinessGovt Scraps Levy On Sending Money In Latest Changes and Retains OTT tax. For the second time since the law was effected at the beginning of this month, government has made changes in the tax levied on Mobile Money transactions but the tax on access to social media still stands. In the latest changes, Cabinet has approved a proposal to scrap the 0.5% tax on sending money to other Mobile Money users and maintained the tax (0.5%) only on withdraws. This was announced on Tuesday by the State Minister for Planning, David Bahati while briefing the press on the resolutions passed by Cabinet during its sitting at State House Entebbe on Monday. This had followed communication by Prime Minister, Dr Ruhakama Rugunda to Parliament that government was drafting a Bill to make reviews in the tax measures. Initially, the law that was passed by Parliament in May placed a 1% levy on Mobile Money transactions (deposits on personal accounts, sending and withdrawing). But days after the taxes tool effect, President Yoweri Museveni directed for the scrapping of the 1% on personal deposits which he said was erroneous. He also said the charge on the other transactions (sending and withdraw) was supposed to be 0.5% and not 1%. Bahati said that the proposals approved by Cabinet yesterday were a step by government to honour the commitment by the Prime Minister. He said that the amended Bill will be presented for first reading this Thursday in Parliament. Quoting statistics by the Central Bank, Minister Bahati said that 11 trillion transactions (for sending) are made on Mobile Money and 23 trillion transactions are made on withdraws. 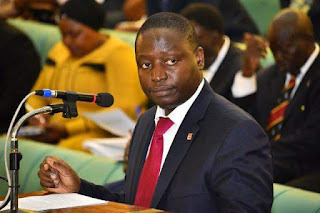 “We do expect that if we charge the levy of 0.5% on withdraws only, we shall still raise Shs118 billion which is slightly above what we had budgeted for (Shs115 bn) in the budget,” Bahati told reporters at the Uganda Media Centre. “So, we are still fine, because we had discounted and hoped that as implementation goes on, we could even over shoot it”. He revealed that while government had estimated to collect slightly over Shs2bn in the first week of implementation of the taxes on Mobile Money, a sum of Shs5bn was raised in the same week, representing an excess of over Shs2bn. “So this measure of 0.5% on withdraws only will still raise Shs118 bn. Minister for ICT and National Guidance, Frank Tumwebaze said that the new changes by government are “exciting” as it will be instrumental in the agenda towards a cashless economy. He said that in addition to widening the tax base, this measure will spur cashless transactions, which is the global trend, and support innovations in the finance sector. 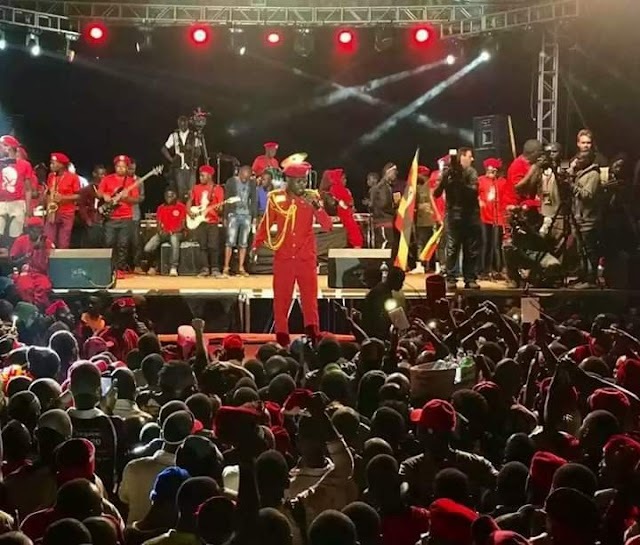 Regarding the issue of refunding the Mobile Money users whose money was deducted due to the erroneous taxes, Bahati said the reimbursement for the tax on deposit will be easy and quick. “The first [refund] is where at the start of implementation, we charged 1% on deposits and immediately corrected that. This is legitimate and it will be implemented quickly and easily because it wasn’t the intention of the law,” he said.